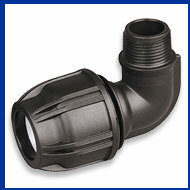 Evaluated to: AS/NZS 4129:2008 - Fittings for polyethylene (PE) pipes for pressure applications. Approved for use with potable (drinkable) water. The Water Research Council in the UK is the highest recognised water testing organisation in the world.